Hello everyone! I didn't forget about this blog, I just thought I didn't have time for it. And I still do but then I also thought, why not? I missed y'all. Like a lot. I thought about coming back a lot and then I was like "NOOO you FOOL. You have area all state coming up, you are TAKING AP EURO AND AP ART and you're playing varsity soccer you have no time and you'll become a mess." But then this morning I woke up and went through my stories on Insta and saw a picture of a book and someone saying "Perfect way to start my Saturday" and a pinge of guilt went through my heart. And then I looked over at my bookshelf at all my unread books and began to follow over a hundred bookstagram accounts and then my books started yelling at me to review them and well. Here I am. 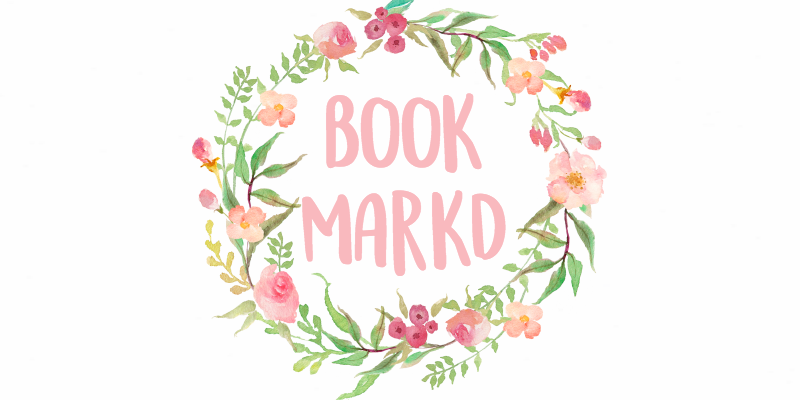 So welcome to bookmarkd! I'm not actually sure where this is going but I actually realized one thing, I can do whatever the heck I want to. I don't owe anyone apologies because this whole shabang is for fun and not for numbers or blablablabla you know the spiel. All I know is that I'm going to review books and talk about books and just BOOKS because sometime after May I forgot how much I LOVE BOOKS. I may throw in some #rants about how much I hate AP Euro and how much I love Bio but that's just the norm right? I'm not promising to post like every other day but every week is probably possible?? most likely on sundays because I do all of my homework on saturdays. Aw Noor I'm so glad you're back! I missed your blog so much! Do whatever your heart desires, I'm just glad to see you blogging again and whatever you post I'll read gladly. Aww Noor! We missed youuuu. AND OH MY GOSH WHAT A COINCIDENCE: I haven't been on your blog in ages (not because I don't like it obv but because if you'd posted something new it'd come up on my Blogger Reading List and nothing has so I left it bc you know:)), and anyway today literally I just thought you know what, I'll check out Noor's blog as I haven't for a couple months and maybe my reading list is just messed up and nothing was there but just now I refreshed my reading list and NOW YOU'RE BACK! whoo:) I've genuinely missed you oh ma gashhhh! You're taking Ap Euro? Oh shish kebabs... that's so daunting. 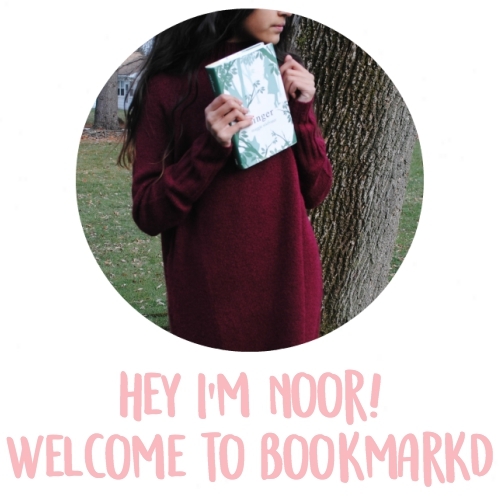 I'm so happy that you're back on the blogosphere, Noor! Blogging's definitely been off-kilter without you on here! Glad you're back Noor! I'm in my last year of Highschool and want to say that you should work your hardest now as it will make the future SO much easier; don't be scared to have fun tho and don't try to grow up too quickly as you will never get these days back. It's cool that you feel free to do what you want. I also like this name better. I just really like bookmarks as well so that probably contributes to that! YOUR BACK!!! You were and are one of my favorite bloggers and I'm so excited that you are posting again! Yay! I love your blog so much! I was wondering why I wasn't getting any notifications from your blog, lately and I am shocked by Bookmarkd. But I love the name, and I'm glad you didn't decide to just delete A Little Bit of Sunshine like many bloggers. I was wondering if you could also continue to write posts of your passion for music and album reviews. I also enjoy your book reviews, but could you include more "children's books"? YA novels really don't appeal to me- I feel strongly about that opinion. Children's books are light and not to mature. Good luck with Bookmarkd! I hope you have fun in high school!